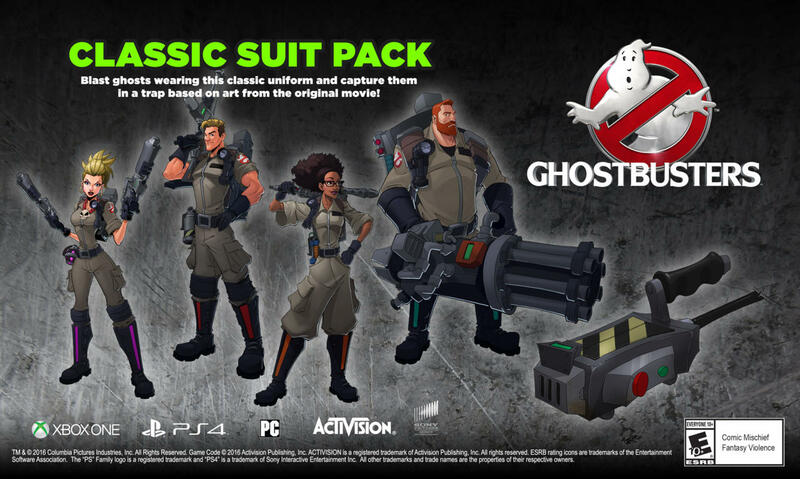 Activision's Ghostbusters Ultimate Bundle will include a digital copy of the upcoming reboot. Back in April, Activision announced a brand new Ghostbusters game, to be released on July 12 on PlayStation 4, Xbox One, and PC. Although the game will be set in the same universe as the upcoming Ghostbusters reboot, the third-person action RPG is set to take place after the events of the movie, featuring an entirely new cast of characters. "As rookie Ghostbusters, players can level up their characters' gear and abilities by tackling objectives, defeating ghastly creatures and discovering hidden collectibles in Manhattan's most haunted haunts," Activision previously revealed. "There are four heroes to choose from, and each has his or her own unique personality and play style, bringing special strengths to support the team." The new standalone Ghostbusters video game. DLC featuring four classic character suits and a bonus trap based on art from the original film. A code for a digital copy of the new Ghostbusters movie to be delivered at a future date. Two special dashboard themes, one based on the movie and another inspired by the game. It's worth mentioning that the DLC mentioned above will also be given to people who preorder the standalone version of the game digitally.